Martha Rojas-Urrego commenced her tenure as the sixth Secretary General of the Ramsar Convention on Wetlands on 22 August 2016. Her appointment was announced on 16 June 2016 during the 52nd meeting of the Standing Committee. She brings to the Convention vast experience in national and international policy making. She has more than 25 years’ experience working in conservation, sustainable development and social equity, gained in various senior levels of national government and international non-governmental organisations. 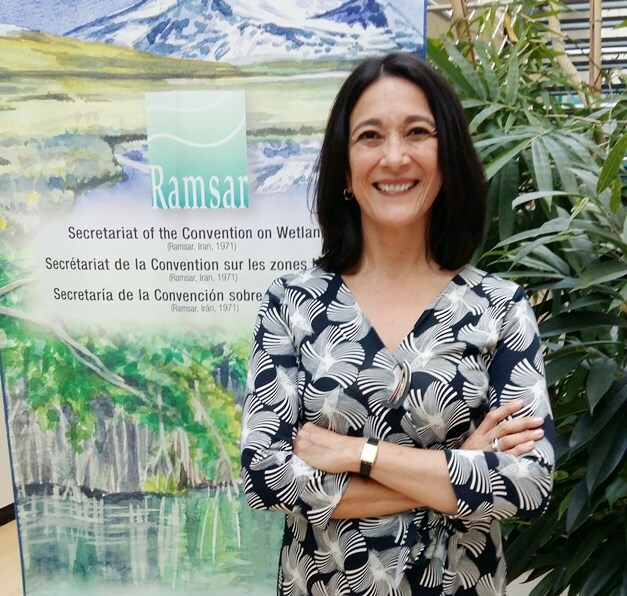 Ms. Rojas-Urrego is very excited about joining the “Ramsar family” and working closely with the Secretariat, all Contracting Parties and Partners to advance the goals of the Convention to ensure that all wetlands and the benefits they provide are valued and recognized by all. She said; “This is a crucial moment given the current global momentum to find solutions to respond to pressing development and social needs whilst conserving the environment. It is important to integrate the water-related and other benefits of wetlands within the broader global policy agenda on sustainable development and climate change, while supporting country implementation on the ground." Between 1994 and 2008, Martha Rojas-Urrego worked for the International Union for Conservation of Nature (IUCN), first as a Senior Biodiversity Policy Advisor and then in 2002 as Head of Global Policy. In the latter position she coordinated IUCN’s global policy work, leading the Union’s engagement with the Convention on Biological Diversity (CBD), the United Nations Framework Convention on Climate Change (UNFCCC), and the World Trade Organization (WTO). Prior to joining IUCN Martha Rojas-Urrego was the Executive Director of National Parks of Colombia and represented the Government in several multilateral environmental agreements. She also worked for the Food and Agriculture Organization of the United Nations, and Fundacion Natura in Colombia. Ms. Rojas-Urrego is a Colombian and French national and has two sons.